As it were, shutdowns of Nigeria's local refineries appear imminent as operating deficit rises to N132.5billion. With Dangote Refinery expected to commence operations within the timeline with a capacity of 650,000 b/d of crude oil, Nigeria's existing refineries may cease to operate having continued to record huge deficit over the years. Besides, new data from the Nigerian National Petroleum Corporation (NNPC) showed on Tuesday, that the operating deficit recorded by the nation's refineries rose by 39 per cent to N132.5billion in 2018, compared to the previous year. "Almost two thirds of the new capacity, as well as two thirds of refined products demand growth, will be in Asia," the IEA said. The new additions include the Al-Zour refinery in Kuwait, and capacity addition at Kuwait's Mina Abdulla, the Jazan refinery in Saudi Arabia, expansions at Iran's refineries, and restoration of war-damaged facilities in Iraq as well as some greenfield projects. 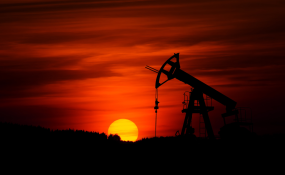 The agency revised its forecast of refining capacity additions "due to a more aggressive Chinese expansion," with net global additions now 1.9 million b/d higher than in its Oil 2018 report. "It is the arrival of the three large independent players that signifies a major change in China's refining landscape," the report said, citing the large petrochemical-oriented refineries built by Hengli, Rongsheng and Shenghong Groups in the coastal Liaoning, Zhejiang and Jiangsu provinces. China will become the leader "in terms of installed refinery capacity" by 2024, as a "U.S. Gulf Coast-type refining hub is emerging along China's northeast coast," the IEA said, adding, "Overall, China's refining capacity additions will be almost double the size of total demand growth."